You are viewing used 2004 Ford Expedition Eddie Bauer offered for sale. Find out here most detailed specifications, photos and review. If you like this car, you can also find here information about auto dealer(if available) and contacts them using provided contact information. Engine: 8-Cylinder, 4.6 8 Cyl. If you really need a perfect car, you should better focus your efforts on search of a Ford Expedition that we offer you at our auto shop. But first of all we would recommend you to learn some details concerning this efficient car. Just relax and imagine that your dreams have already come true. Flawless design, advanced technologies, spacious passenger compartment, large cargo space, and excellent maneuverability – these are the characteristics of Ford Expedition that make it one of the most successful models in the line. The elegant design of this car will, undoubtedly, be pleasing to the eye of everyone and, first of all, the owner. Our reliable and elegant Ford Expedition Eddie Bauer was produced in 2004. This model is really attractive and will satisfy even the strictest customers in any country of the world. This car will work infallibly and will never fail to impress you and your family, whenever you decide to take a drive. This Sport Utility is a good passenger car, which incorporates cargo space with passenger space and features folding seats to ensure flexibility in this space. You can be sure that nothing and no one will be left behind, if you own this vehicle. You will be able to squeeze in all your family and their belongings. 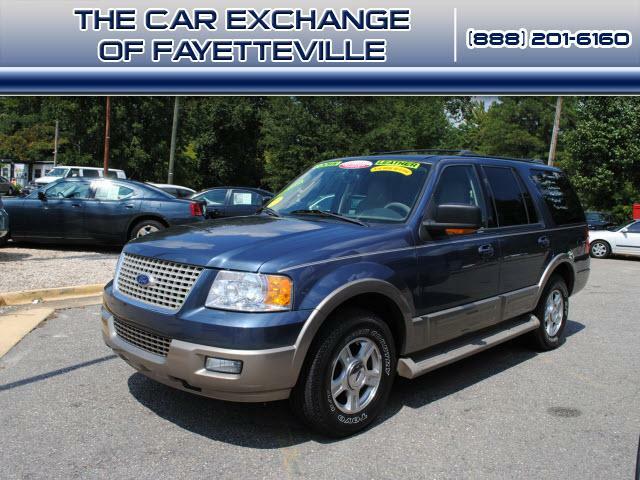 The Ford Expedition is available in Blue, which is rather a universal color liked by many people. This shade is sure to accentuate your good taste, your elegant lifestyle and your social standing. The Blue is not too bright, it doesn`t irritate the eyes and goes well with the car`s interior. The interior compartment of this advanced automobile is also elegant, fresh and original and is represented by Medium Parchment. This lovely shade will compliment the thought-out design of the car, its trim and its functionality. You and your passengers will feel at ease as soon as you get inside. Would you like your car to look more personal and different? Ford Expedition Eddie Bauer does just that. Many little details are in perfect harmony with the interior and exterior colors and are an integral part of the design. This beautiful vehicle will be ideal for you to drive! 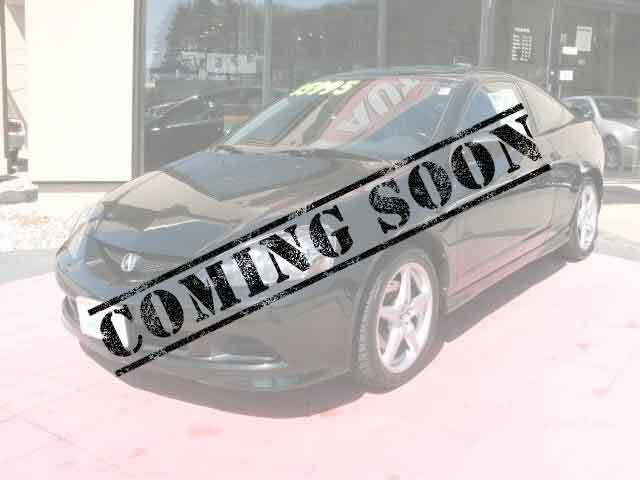 The model comes equipped with an 8-Cylinder, 4.6 8 Cyl.. This type of engines is rather powerful and can gather high speed without much delay. The 8-Cylinder, 4.6 8 Cyl. in Ford Expedition achieves great rates of efficiency and can`t help being a pleasure to the owner. From now on you will definitely reach all your destinations on time. This Ford Expedition is equipped with an easy to use and reliable Automatic transmission allowing any car enthusiast to drive this vehicle to its maximum capabilities and providing a lot of driving excitement to the driver. You will be eager to take your new car for a drive and enjoy the speed it can reach! This elegant and infallible Ford Expedition has covered 49257. Nevertheless, we can promise you that this car is in good condition considering the number of miles it has travelled. In addition to it, we offer you a very reasonable price, which is sure to make you absolutely positive about purchasing this vehicle. Each car has a unique number, which singles out one car from the rest. It is given to specify different parameters of the vehicle, like make, city, place of assembly, platform, etc. It is also used to prevent car theft (the number is etched on the car windows, so that before selling the vehicle the thieves would have to dismantle the windows). The VIN for this model is 1FMEU17W94LA70669. Thus, Ford Expedition is a personification of its famous maker. It combines the highest achievements of engineering thought and technology and can easily be called a safe, comfortable and reliable vehicle that has everything you might need from a car. Make up your mind and choose this flagship model!